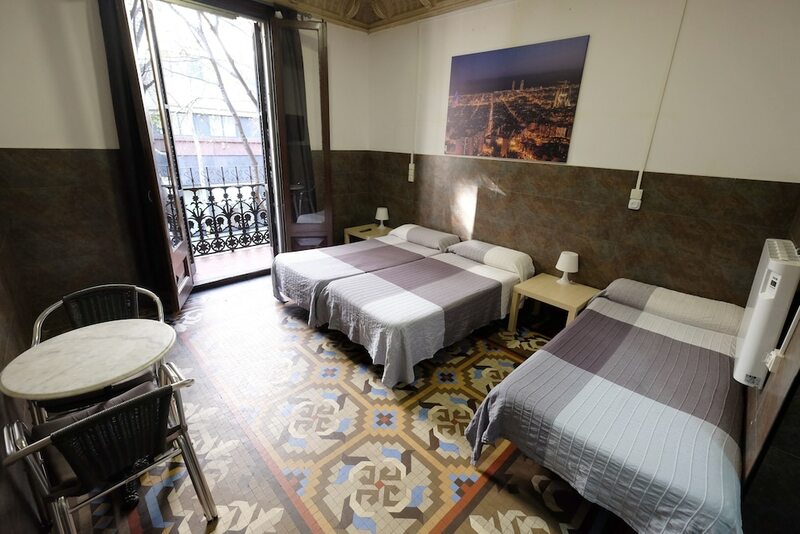 With a stay at Lenin Hostel Barcelona in Barcelona (Eixample), you'll be steps from Passeig de Gracia and 3 minutes by foot from Casa Batllo. This hostel is 0.2 mi (0.3 km) from Casa Mila and 0.6 mi (0.9 km) from Placa de Catalunya. Make yourself at home in one of the 30 guestrooms featuring refrigerators and flat-screen televisions. Complimentary wireless Internet access is available to keep you connected. Bathrooms have showers and hair dryers. Conveniences include ceiling fans, and housekeeping is provided daily.